Healing Herb of the Amazon Rain Forest 100 pure Juice 32oz Bottle. Dynamic Health Laboratories, Inc.’s Graviola• Guanabana • Soursop (Annona muricata L.) fruit has been treasured for thousands of years by the inhabitants of the Caribbean, Central America and select tropical regions throughout the world. The warm climate and nutrient rich soil guarantee nearly perfect conditions for these trees to blossom. The white flesh of the green prickly fruit is juicy and aromatic. Graviola has been used traditionally to help promote healthy living. Our product is uniquely formulated to enjoy sipping it pure or added to your favorite beverage or smoothie. 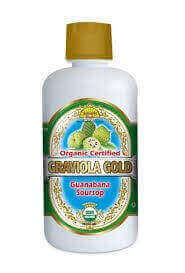 Graviola is a natural source of Acetogenins and Vitamin C. USDA Organic Certified, Kosher, Halal, BPA Free, Gluten Free. 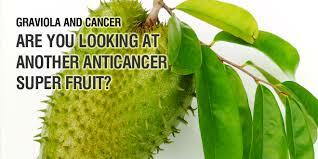 Graviola is also called: Soursop, Guanabana and Brazilian Paw Paw. 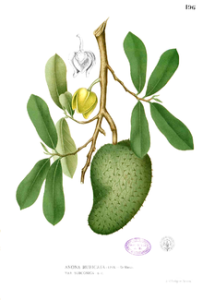 Graviola can be found in a tincture, powder or capsule form. You can also drink your graviola; health food stores sell graviola tea bags, or you can find graviola juice at Brazilian supermarkets. More info from Dr Oz here. (NaturalNews) A new study on the herb graviola published in the October 2012 issue of Cancer Letter has cancer researchers buzzing.